DEEP WATER SINGLE STORY DESIRABLE MIRA MAR PLAN-3 ON A LARGE CORNER-LOT 19,000 sq.ft - 10 mins from FAST-WATER. 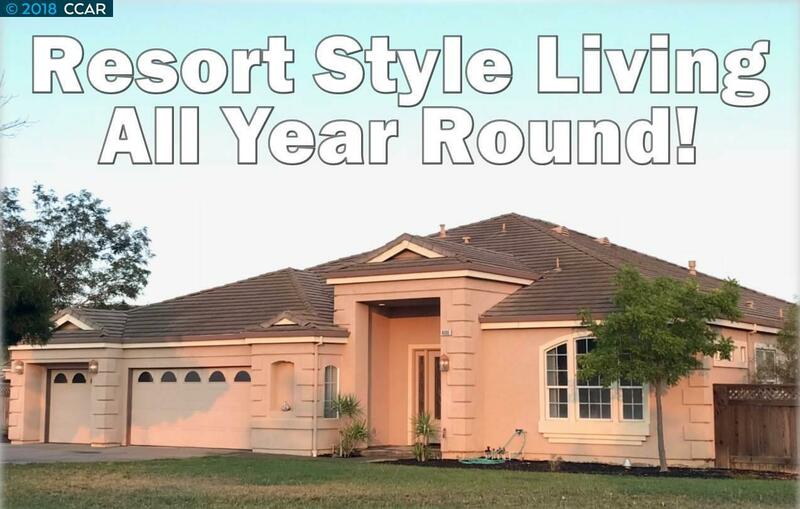 Waterfront Home with 4 Bedrooms +Bonus Room, 3.5 Baths & 3 Car Garage - Resort Style Living All Year Round with Spectacular Views of the Delta from Every Window! Great Room with Dramatic Soaring Ceilings and Wide Open Floor Plan. Art Gallery Like Entry with Marble Tile Floors & Custom Hardwood Floors Throughout. Spacious & Sunny Great Room w/Custom Window Coverings & Raised Hearth Stone Fireplace. The Gourmet Kitchen with Plenty of Storage Features: GE Appliances - Stainless Steel Double Ovens, Commercial Grade Gas Stove & Hood, Built in Fridge, Prep Station & Island w/Separate Sink, Walk-in Pantry, Wine Chiller, Granite Counters and Eat at Bar +Dining Area. The Elegant Master Suite Boasts Cozy Fireplace, Sitting Area & the Relaxing Views of the Delta. Over-Sized Master-bath with Spacious His & Hers Walk-in Closets. Large Backyard Offers 2 Vinyl Decks & a Dock for 2 Boats.